The Granary in Wold Newton, near Filey sleeps 4 people. 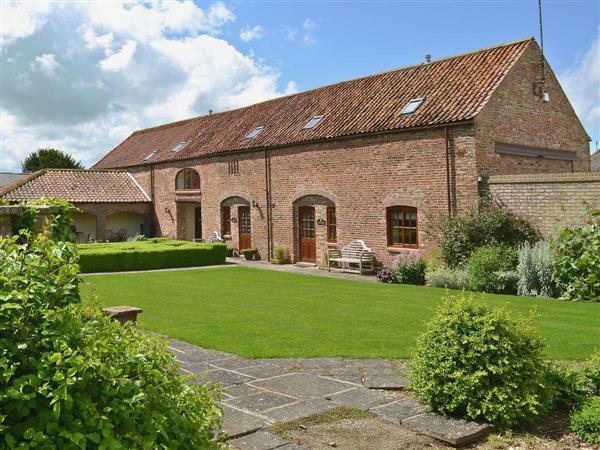 The Granary near Filey overlooks the quaint and sleepy village of Wold Newton; with stunning countryside and scenery The Granary is in a beautiful peaceful setting yet just a short stroll down to the village and all its amenities. Situated on the owner’s 200-acre working farm you are surrounded by gentle rolling hills and valleys, perfect for those long countryside walks. Spot the wildlife from boxing hares to barn owls swooping down for prey. Bempton Cliffs is great for birdwatchers with thousands of puffins, guillemots and kittiwakes frequenting the area as well as the odd seal lazing on the rocks. For those hardened walkers amongst you there’s the Wolds Way, a 79 mile walk from Hessle to Filey where at this point you could go even further joining the Cleveland Way. The Wolds is famous for being the inspiration to David Hockney’s paintings, an area he knew well when a boy. Yorkshire is renowned for its beautiful stately homes including Sledmere House, Burton Agnes Hall, Sewerby Hall and of course the stunning Castle Howard, one of Britain’s finest stately homes just north of York. The resorts of Filey, Bridlington and Scarborough are just a short drive away. Filey has a large sweeping beach where you can walk all the way along to Reighton Gap; stop and watch the horses galloping in the sea. The busier resorts of Scarborough and Bridlington are also worth a visit with their bustling working harbours and exciting attractions including a Sea Life Centre and open top bus tours. Visit the Stephen Joseph Theatre in Scarborough, home to most of Alan Ayckbourn’s world premieres or have a great evening out at the Bridlington Spa with its international shows. The vibrant city of York is just a short drive away with its huge 13th century Gothic cathedral in the centre and then a walled city surrounding the cobbled streets and alleyways. There’s an abundance of museums and galleries from the Railway Museum to the Jorvik Viking centre. There are river boats and open top buses that give you a very informative tour of the city. The beach is 7 miles. With the shop 5 miles, the is pub 400 yards, and the restaurant is 5½ miles from The Granary near Filey. The Granary can be booked together with The Hayloft (ref UK2075 [The Hayloft]) and Parker Suite (ref UK2076 [Parker Suite]) to accommodate up to 10 guests. Ground Floor: Open plan living space: With wooden floors. Living area: With wood burner, 50 Freeview TV, wooden floor and French doors. Kitchen area: Farmhouse style with gas cooker, microwave, fridge and dishwasher. First Floor: Bedroom 1: With kingsize bed, Freeview TV and en-suite with bath, walk-in shower and toilet. Biomass central heating, gas, electricity, bed linen, towels, Wi-Fi and logs for wood burner included. Travel cot and highchair available on request. Welcome pack. Shared utility room with washing machine and tumble dryer. 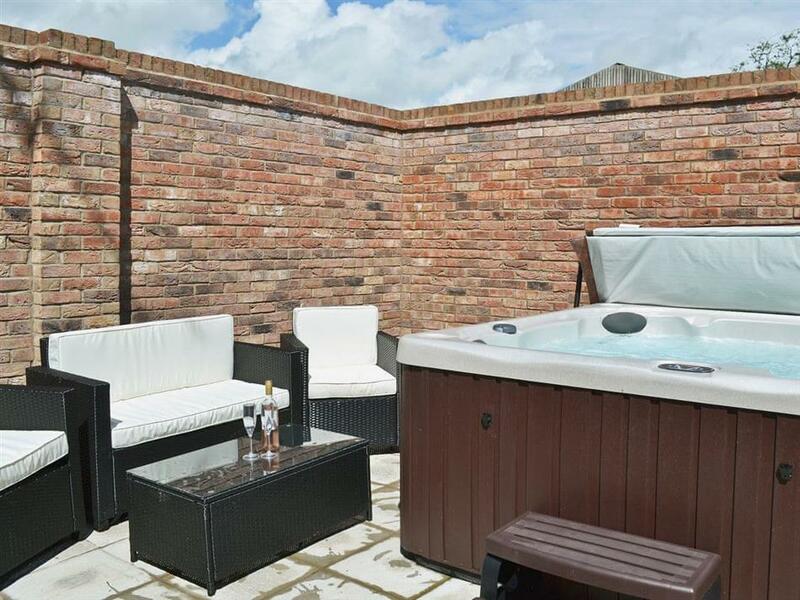 Courtyard with hot tub. 200 acres of shared natural grounds with patio, garden furniture and gas Bar-be-que. Bike store. Private parking for 2 cars. No smoking. Please note: There are steps within the grounds. Holidays at The Granary run from Friday to Friday. For a better idea of where The Granary is, you can see The Granary on the map below. The Granary is in North Humberside; should you be on the lookout for a special offer, you can find all the special offers in North Humberside. It's always worth checking to see what is on offer at the moment. Do you want to holiday near The Granary (UK2074), you can see other cottages within 25 miles of The Granary; have a look to find your perfect holiday location.